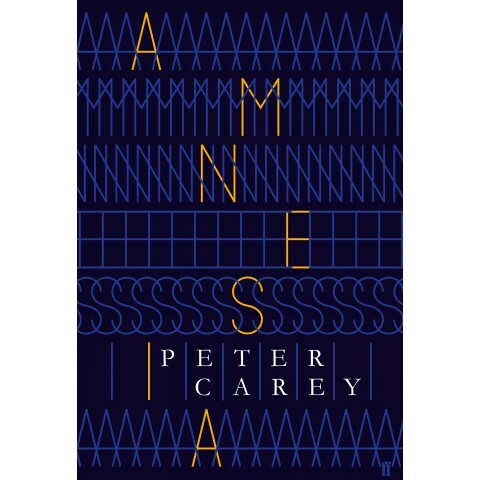 I am sorry to say I was hugely disappointed by this book, and I’ve never felt let down by a Peter Carey book before. At first I thought it was my fault – I started reading it when I had the flu so perhaps I wasn’t concentrating, not following the plot – as I read on my flu disappeared but the Amnesia problems continued. Now, a couple of days after finishing it, I can re-arrange the story in my mind. Washed-out journalist Felix Moore is commissioned to write the biography of Gaby Baillieux, accused of cybercrime: releasing a virus into Australia’s prison system which also affected the US prison system. Felix is kidnapped – this is where I started to get confused – and abandoned in a swamp with a typewriter, catering size packs of red wine, and boxes of cassettes and diaries from Gaby and from her mother Celine. Celine and Felix knew each other as youths. The guy funding the biography is Woody Townes, who has bailed Felix out of trouble in the past. Woody’s motivation was unclear. You can tell I’m still confused, can’t you? I was drawn to this book by the promise of Gaby’s cybercrime and the link to the Battle of Brisbane in 1943, I expected an exploration of the way in which history connects to modern life which is, after all, the history of the future. Unfortunately the timeline and viewpoint switch so randomly I was always unsure who was speaking – was it real time, was it Gaby on a tape, or Celine on tape, was it a flashback to Felix’s youth? I just didn’t know the core story. My basic issue is this is an Australia-centric book and I, being British, just didn’t ‘get’ the cultural references. Yes, this does highlight my woeful knowledge of Australian history but it was a barrier to my understanding of the story and left me feeling frustrated at missing out. That’s an issue for the global fiction market these days: not everything travels.